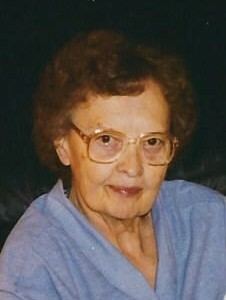 Bernadyne Gatz, age 93, of Waunakee, WI, passed away at her home on Tuesday, April 2, 2019. She was born on July 30, 1925, in the Township of Marion in Waushara County, WI, a daughter of Otto and Ella (Nickolie) Reetz. On June 22, 1945, Bernadyne married Harvey Gatz at Zion Lutheran Church in Neshkoro. Over the years she enjoyed vegetable gardening and going out for Friday night fish fries. Bernadyne made fantastic pies. Her children and grandchildren meant everything to her. Those Bernadyne leaves behind to cherish her memory include her 2 children, Sharon (James) Burton of Madison, WI, James (Jane) Gatz of Waunakee, WI; 4 grandchildren, Craig (Andrea) Burton, Steve (Brianne) Burton, Chris Gatz and Tyler Gatz; great grandchild, Wesley Burton; brother, Vernet Reetz of Neshkoro; 2 sisters, Elaine Krause and Doris Marshall both of Neshkoro; other relatives and friends. She was preceded in death by her parents, Otto and Ella Reetz; husband, Harvey Gatz in 1958; brother, Gilbert Reetz; 2 sisters, Gertie Wegenke and Leona Lang. A funeral service for Bernadyne Gatz will be held on Saturday, April 6, 2019, at 11:00 a.m., with visitation beginning at 9:30 a.m., at the Wachholz and Sons Funeral Home, 303 Harvard St., in Princeton. Pastor Blaine Niskanen will officiate. Bernadyne will be laid to rest following the service in the Woodlawn Cemetery in Ripon. Please visit our website www.wachholzandsons.com to send a condolence or to share a memory of Bernadyne with her family. The family of Bernadyne Gatz would like to thank Agrace Hospice Care for the exceptional care and compassion given to Bernadyne.